The Das Racist crew is one of the interesting hip hop groups to emerge in the last two years, probably because people take them as a parody rap group, but both Heems and Kool A.D. spit some serious good bars, although they can be sarcastic. 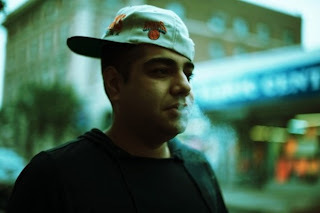 Heems is preparing to release a new mixtape called Wild Water Kingdom. To give us a taste, he released a song called "Cowabunga Gnarly" featuring production from Harry Fraud. The two compliment each other and Heem's kills it. The mixtape is out November 11th via Greedhead, which is also releasing a 7" single leading up to a collaborative EP between Harry Fraud and Heems.